Since the 1990s, a new cohort of Asian American writers has garnered critical and popular attention. Many of its members are the children of Asians who came to the United States after the Immigration and Nationality Act of 1965 lifted long-standing restrictions on immigration. This new generation encompasses writers as diverse as the graphic novelists Adrian Tomine and Gene Luen Yang, the short story writer Nam Le, and the poet Cathy Park Hong. Having scrutinized more than one hundred works by emerging Asian American authors and having interviewed several of these writers, Min Hyoung Song argues that collectively, these works push against existing ways of thinking about race, even as they demonstrate how race can facilitate creativity. Some of the writers eschew their identification as ethnic writers, while others embrace it as a means of tackling the uncertainty that many people feel about the near future. In the literature that they create, a number of the writers that Song discusses take on pressing contemporary matters such as demographic change, environmental catastrophe, and the widespread sense that the United States is in national decline. More information. The Children of 1965 won the 2015 Association for Asian American Studies Book Prize in Literary Criticism. 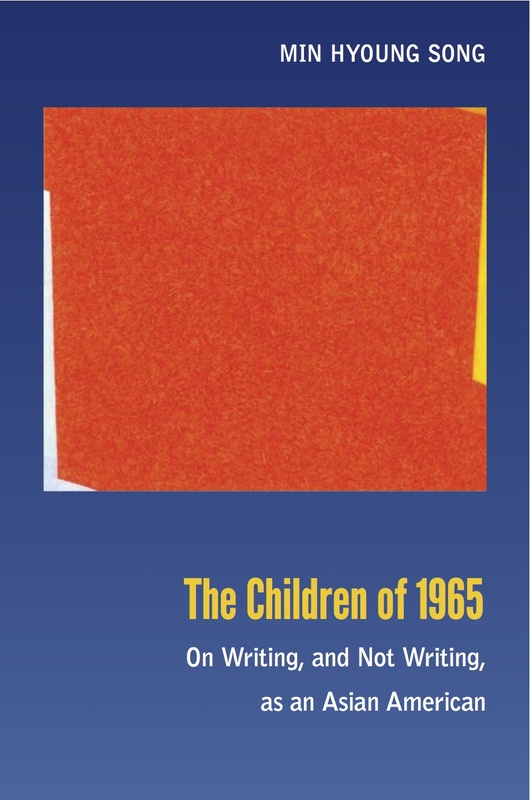 The Children of 1965 was selected as the winner of the 2014 Alpha Sigma Nu Book Prize in Literature and Fine Arts. The Children of 1965 received Honorable Mention in the 2014 ASAP (Association for the Study of the Arts of the Present) Book Prize. Min talks about the book with Brendan Rapple of the BC Library on video. Jim Stevenson interviewed Min about the book for “Daybreak Asia,” which aired on Voice of America on May 15, 2013 (the interview begins at 17.00 minutes).